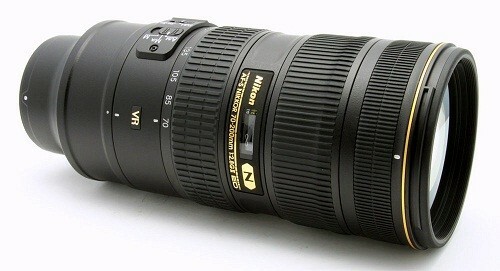 Fast f/2.8 aperture telephoto Zoom-NIKKOR lens with VR image stabilization and exclusive Nano Crystal Coat. Nikon VR II (Vibration Reduction) image stabilization : Vibration Reduction, engineered specifically for each VR NIKKOR lens, enables handheld shooting at up to 4 shutter speeds slower than would otherwise be possible, assuring dramatically sharper still images and video capture. Nano Crystal Coat : Further reduces ghosting and flare for even greater image clarity.